Here at Poulsbo Animal Clinic, we take great pride in offering in-house routine and advanced orthopedic surgeries without the need to travel to the Seattle area. Dr. Craig Adams, one of our clinic’s veterinarians, is highly skilled and experienced in performing a wide variety of orthopedic surgeries. First acquiring an interest in orthopedics as a veterinary student, Dr. Adams is currently a member of the Veterinary Orthopedic Society (VOS), a specialty organization committed to the research and clinical practice in veterinary orthopedics. He also has advanced training in minimally-invasive plating osteosynthesis (MIPO), a specialized technique to repair fractures that preserves blood supply to the bone, decreases infection risk, and promotes healing. We are now offering a new surgery for cranial cruciate ligaments (CCL) repair called a CBLO. You can learn more about this technique by reading our CBLO page. As with all other surgeries, great care is taken to ensure your pet’s safety and comfort before, during, and after the procedure. 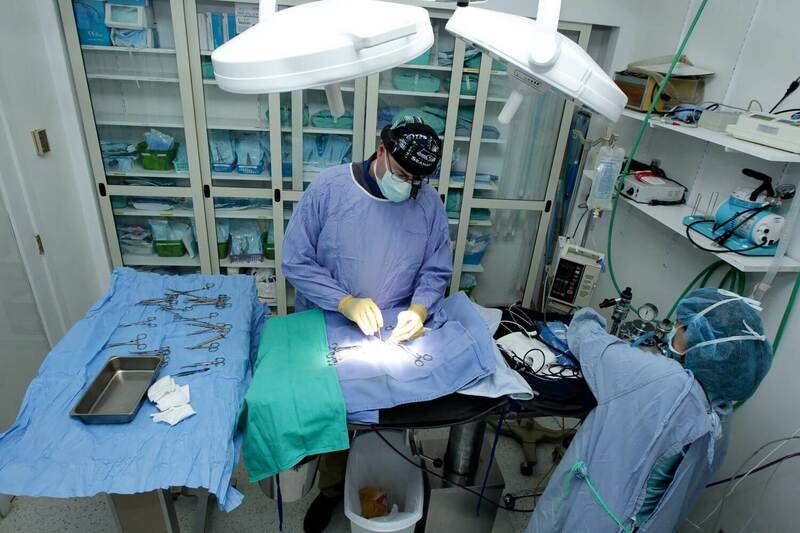 From pre-surgery education to advanced cardiovascular monitoring to post-surgery pain management, Dr. Adams and his experienced team are committed to your pet’s health during orthopedic surgery. To learn more about orthopedic surgeries offered by our clinic or to schedule an appointment, please don’t hesitate to contact us.